Abstract: Urban areas have become a jigsaw of living spaces delineated by roads, special lanes, bike lanes, footpaths, squares and the numerous walkable surfaces that permit people’s daily mobility. There are multiple paved areas, the characteristics of which vary according to their potential uses, in the spaces between the buildings where people live, work, study and relax. Urban pavements cover about 40% of urban areas and are the largest and most expensive public property on which people travel every day and they must accommodate all users in the most efficient, safe and enjoyable possible way in modern Smart cities. In a 2020 society that will have gone through an intense economic and cultural crisis and will aspire to more livable cities, a novel approach on how urban pavements are perceived, designed, built, maintained and managed is urgently needed. Safety, sustainability, resilience, accessibility, smart features and aesthetics are the key characteristics that modern countries should invest in for their pavements. Nizar Lajnef is an associate professor of civil engineering at Michigan State University. His current research activities include sensors design for structural health and usage monitoring, damage detection algorithms, nano-watt and self-powered sensors, smart materials/composites/alloys and systems and energy harvesting. He is a recipient of the Academy for Global Engagement fellowship and a member of American Society of Civil Engineers (ASCE), the Institute of Electrical and Electronics Engineers (IEEE), and the American Society of Mechanical Engineers (ASME). Paramount to the concept of a ‘smart’ city is the concept of smart civil infrastructure that can self-monitor to predict any impending failures and in the case of extreme events (e.g. earthquakes, hurricanes, fires) identify sections that would require immediate repair. The monitored civil infrastructure constitutes a network of interdependent systems and utilities including highways, bridges, rail systems, pipeline systems, and buildings, that are necessary for supporting social and economic activities. A major step toward achieving effective structural health and usage monitoring is to enable autonomous sensing, reliable events identification and classification, and self-adaptive capabilities in structural components. This introduces novel design methodologies and forces a rethinking of the definition of multifunctional structures beyond the classical concept based only on load bearing elements. This talk presents an overview of on-going work, funded by the US Department of Transportation, the Federal Highway Administration, and the National Science Foundation, aimed at the development of novel multi-metric self-powered sensing systems that can be applied toward the long-term monitoring of infrastructure components. The novel sensing paradigm is based on the integration of amplified piezoelectric transduction and arrays of ultra-low power analog computational circuits. The miniaturized battery-less wireless sensors are capable of detecting and recording a compressed version of the strain, acceleration, and spectral response history of the monitored structure. Advanced damage detection and quantification algorithms are also discussed based on artificial intelligence methods and big data analytics. T.F. Fwa is a Distinguished Professor at Chang’an University. He was formerly professor and Head, Department of Civil and Environmental Engineering, and Director of the Center for Transportation Research at the National University of Singapore. 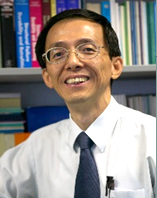 He is the President of the Pavement Engineering Society of Singapore, former President of the International Society for Maintenance and Rehabilitation of Transport Infrastructures and a founder of the International Conference on Road and Airfield Pavement Technology. Abstract: Road pavements are an important urban infrastructure component to provide the required efficient mobility and accessibility of a smart city. They typically cover slightly more than 10 percent of the land area in most major cities. The presence of pavements and the associated road and traffic operations have created the following undesirable environmental and social impacts so far: traffic noise, air pollution, road accidents, extensive drainage system, and inadequate replenishment of groundwater. This presentation highlights the challenges of designing and developing a sustainable pavement network system that will effectively reduce the adverse impacts. The current pavement design and development practices are examined and their shortcomings with respect to environmental sustainability are identified. Promising emerging technologies and measures that have been implemented or are being developed will be assessed and analyzed. 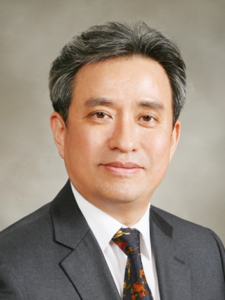 Byung-Suk Kim is a Senior Research Fellow in Korea Institute of Civil Engineering and Building Technology (KICT). He is a former Vice President of KICT and former Vice President of Korean Society of Civil Engineers (KSCE). He is the Chairman of Korean Peninsular Infrastructure Special Committee and is a Vice President of Korean Institute of Bridge and Structural Engineers. His current research project is a “Development of SUPER Concrete with compressive strength of 80~180 MPa and its applications” for the Ministry of Land, Infrastructure and Transport of Korea. For smart and comfortable cities, one of the most important factors is the aesthetics of urban infrastructures with a slimmer and longer-span to maximize space more effectively while minimizing a lifetime maintenance cost and maximizing a service life,.The SUPER Concrete technology is for making it possible, which can overcome the inconvenience of maintenance and aesthetic limitations of steel and concrete. This innovative technology can enhance the beauty, durability and space utilization of the urban infrastructures for smart cities. A new world of infrastructures for smart cities is envisioned by showcasing the applications of SUPER Concrete materials.